Sound familiar? All pet owners have been here. Our pets give us so much and we want them to know how much they are loved and adored. What’s a little bite here and there? Will it really matter in the long run? The answer is a resounding yes. It does matter and even a few extra calories over a course of a year can have a negative impact on your pet’s health. Obesity among pets is on the rise. Extra treats and extra weight cause damage to your pet’s joints, bones, and internal organs. Though some effects can be reversed by changes in our pet’s diet and exercise, some damage cannot be remedied. Some damage can only be mitigated by changing habits. The longer our pets carry excess body weight the damage to their health is more severe. Has your groomer or veterinarian mentioned they have noticed a change in your pet’s appearance? More often than not, they are the ones to alert pet owners that Fluffy or Fido is overweight. There is a way for you to determine whether your pet is overweight. Feel around your pet’s midsection while they are standing. You should be able to easily feel their ribs and spine. Most pets’ waists have a slight hourglass shape. If none of these outward signs exist, it is time to schedule an appointment with your veterinarian to discuss your pet’s weight. 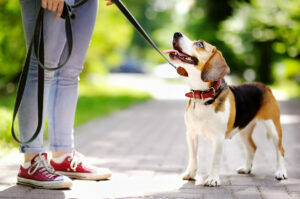 How can you prevent your pet from suffering from obesity? The answer may be easier than you think. Start by counting calories. Ask your veterinarian for their recommendation on how much you should feed your pet. They will be happy to calculate the proper number of calories your pet needs to stay healthy and happy. You can also use the following formula: divide your pet’s weight by 2.2; multiply the answer times 30; then add 70 and this will give you the number of calories your pet needs. Keep in mind that just like us each pet is different and have their own metabolism rate so always consult with your veterinarian before beginning your pet on a diet. Another important step to preventing obesity in your pet is to measure their food using a measuring cup. Do not simply fill their bowl or provide an all day buffet. Simply adding a few extra bits of kibble each day can add up to an extra pound over the course of a year. Measuring the exact amount of food your pet requires based on their calorie needs will ensure they are getting what they need to maintain a healthy weight. Be mindful about treats. 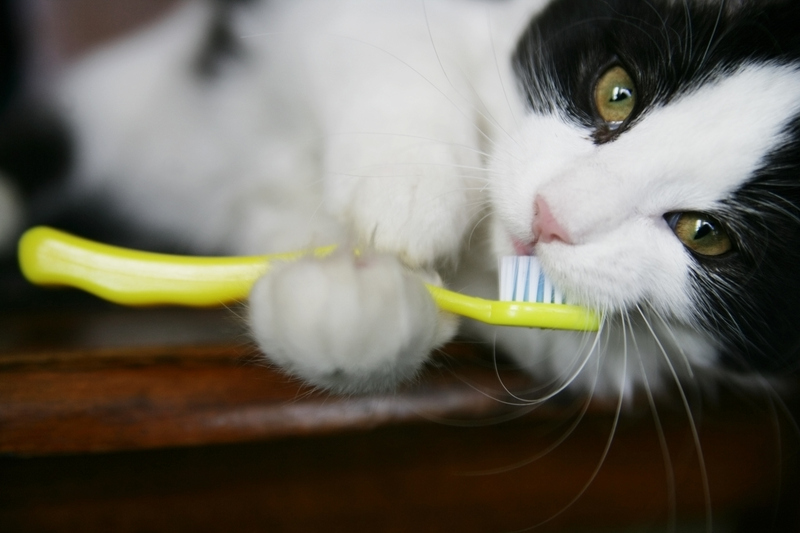 If you want to give your pet a treat, choose low calorie, no sugar treats which provide a health benefit such as those which clean their teeth. Also be sure to include the calories from their treat in their daily calorie count. Don’t fall into a trap of giving your pet a treat because you feel guilty. Use treats to reward good behavior. Are you familiar with the saying, “what’s good for the goose is good for the gander?” Well just like exercise offers tremendous health benefits for us humans, exercise also has significant benefits for our pets. A brisk walk of only 20 to 30 minutes each day with our dogs will boost their immune function, improve cardiovascular health, and reduce many behavioral problems. Cats will enjoy playing with you for 5 to 15 minutes each day. Throw a ball of paper for them to bat around or let them chase after a laser pointer. The benefits of exercise enjoyed by our pets extend to us. We all reap benefits from a walk each day, both physically and mentally. Another consideration is the type of food you feed your pet. Would your pet benefit from a low grain, high protein food? If your pet has certain chronic conditions, it is important to have them on a proper type of diet. 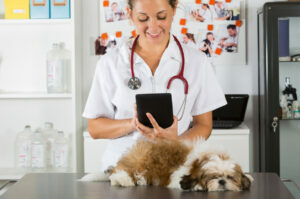 Consult with your veterinarian to determine the optimal diet for your pet. Our pets give us so much. Their unconditional love is unmatched. The least we can do in return is provide them with a healthy diet and lifestyle. Doing so will add significant quality to their life and yours. Now go get that leash and take a walk!